Murderesses, girl groups and WikiLeaks. 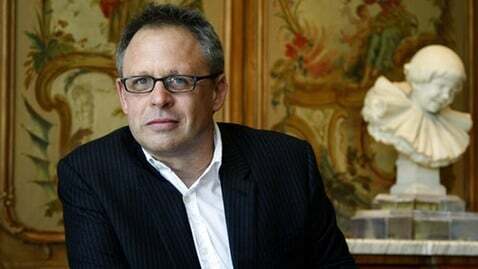 There is truly no end to the range of topics director and Oscar-winning screenwriter Bill Condon has covered in film. Despite his involvement creating two of the most iconic musical movies of the 21st century (namely “Chicago,” for which he received an Oscar nomination and Golden Globe winner “Dreamgirls”), Condon had yet to helm a musical for the stage — until now. In between the release of his latest film “The Fifth Estate” and production on “A Slight Trick of the Mind” starring Ian McKellen, Condon is directing a revival of the 1997 musical “Side Show” at our very own La Jolla Playhouse, which will run until the production will move to the Kennedy Center in Washington, D.C. next year. Bill Condon: It’s a dream deferred to direct something from the stage, so to have my first experience be so ideal has just been extraordinary. It couldn’t be a more supportive environment, … giving us complete creative freedom to discover the best version of a play that we want to put on, just an incredible group of collaborators. … [It’s] the first theatrical [directing] experience for me, and I can’t understand why I waited so long. G: You’ve brought a lot of Hollywood experience to the table. But what experiences from working on “Side Show” will you take to your upcoming film projects? BC: I’ve been thinking about that, and I do think that, [from] the extended time I’ve had to work with actors on this, you get a version of that in movies. But it’s very, very quick and … especially given the caliber of actors I’m going to turn up with, like Ian McKellen, I think somehow [I need] to find a way to do that there; it just pays off in such a great way. G: To what extent are theatre and film two sides of the same coin? BC: For the movies that I always liked [they] have theatrical characters, things that are just slightly heightened, whether [it’s] James Whale in “Gods and Monsters” or the people in “Dreamgirls” or even Julian Assange. They’re all very theatrical people — they see themselves as theatrical … Movies partially came out of theatre, and obviously it’s also a visual medium in a different way, but I like remembering that theatrical part of movies. G: You do a lot of work based on true stories. What do you think is the appeal behind adapting a true story on to the stage or screen? BC: I love seeing the dramatic structure in someone’s life because I think when you do investigate real people it’s extraordinary how the most extremely dramatic things happen to them in a way that might be less credible enough in a completely fictional setting. G: What do you want audiences to take away from “Side Show”? BC: I think we live in a world of a lot of stuff that is ironic and I think the thing about “Side Show” that is so appealing is that there is no irony; it is completely heart-on-your-sleeve emotion. So I hope what they leave with are a few tears. If they’ve been moved in any way by the twins’ predicament I think we will have done our job.